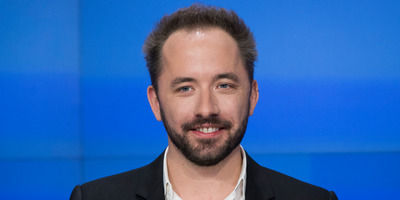 Dropbox reported its second-ever earnings as a public company on Thursday. The company beat Wall Street’s expectations on revenue and earnings per share. But the stock slid on news of Chief Operating Officer Dennis Woodside’s impending departure. Dropbox shares fell Thursday following mixed news in its Q2 2018 earnings statement. The company reported a beat on both revenue and earnings per share in its second earnings report ever as a public company. But it also disclosed an unexpected executive departure: Chief Operating Officer Dennis Woodside, long considered a key lieutenant to CEO Drew Houston, is leaving the company. He will stay at Dropbox through early September, and will remain an advisor through the end of 2018. His departure corresponds with Dropbox’s lock-up period for employees, which dictates how soon they can sell their stock after a company goes public. The lock-up period ends August 23. Instead of replacing Woodside with a new COO, Dropbox will restructure its executive team to distribute his duties, the company says. Yamini Rangan, currently VP of business strategy & operations, was promoted to chief customer officer. Lin-Hua Wu, VP of communications, will keep her title but report directly to Houston. Revenue for Q2 (GAAP): Dropbox reported $US339.2 million, up 27% from the year before. Analysts expected $US330.9 million. Earnings per share Q2 (adjusted): Dropbox reported earnings per share of $US0.11. Analysts expected $US0.0.7. Paying users: The total number of paying users on Dropbox grew by 2 million from last year, up to 11.9 million. The average revenue per paying user is $US116.66, up from $US111.19 last year. Net loss (GAAP): Dropbox reported a net loss of $US4.1 million, compared to $US26.8 million lost in the same period last year. Revenue guidance for Q3 2018 (GAAP): Dropbox expects to see $US350 million to $US353 million revenue. Analysts expect $US345.9 million. Earnings per share guidance for Q3 2018 (adjusted): Dropbox did not give guidance for EPS in Q3 but analysts expect $US0.07. Revenue guidance for fiscal 2018 (GAAP): Dropbox expects to see $US1.366 billion to $US1.372 billion. Analysts expect $US1.36 billion.